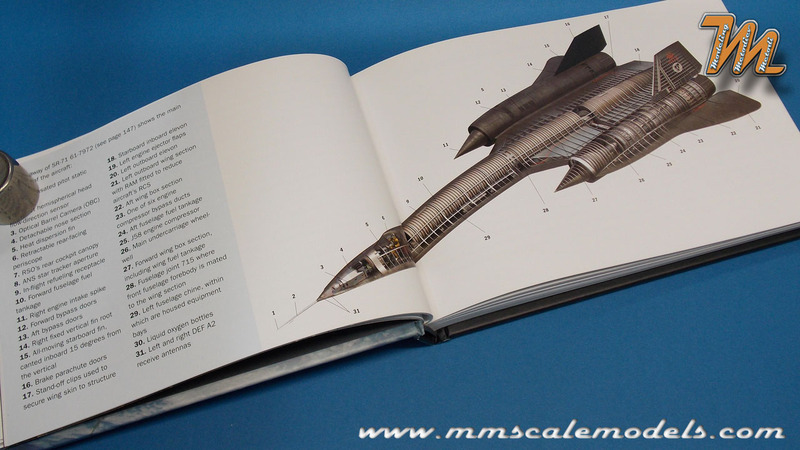 "Lockheed's SR-71 Blackbird is one of the most iconic and famous jets ever built. Assembled in secret at Lockheed's Skunkworks, the Blackbirs's vital statistics remain phenomenal decades later. 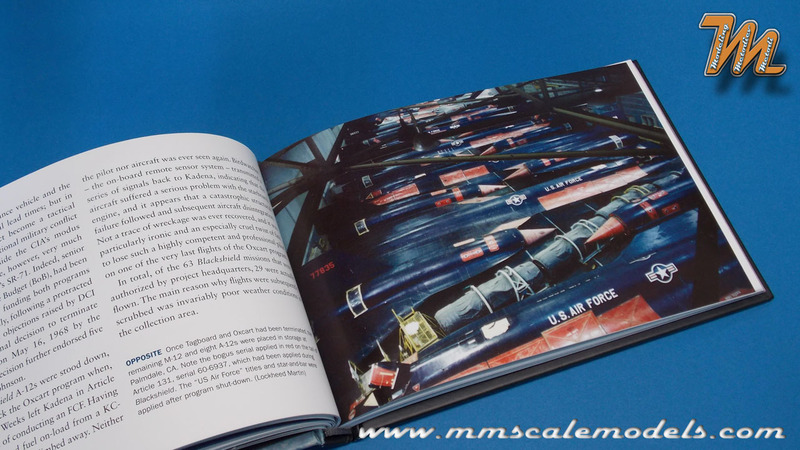 It holds the airspeed record for manned jet aircraft, operated at an altitude other aircraft could barely touch and was a marvel of technical engineering. Drawing on recent declassified material, leading SR-71 expert Paul Crickmore reveals the technical and operational history of one of the most fascinating aircraft, accompanied by a range of fantastic illustrations, photographs and facts about the world's most secret spy plane." 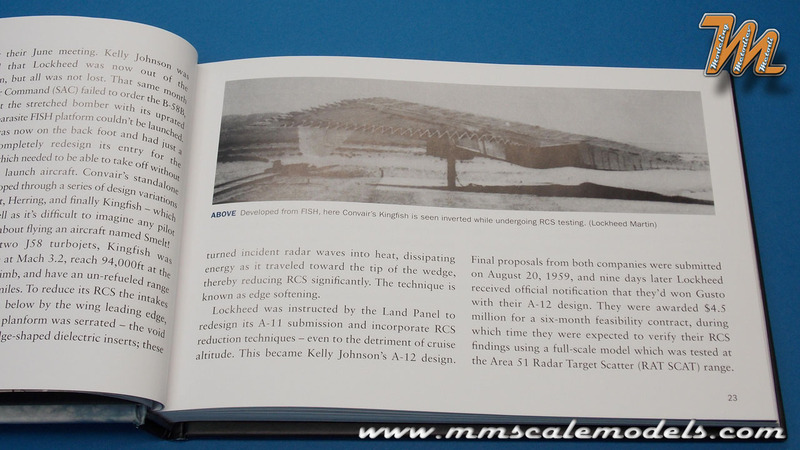 Reading those few lines on the back of the book few keywords popped immediately - Skunkworks and recently declassified. 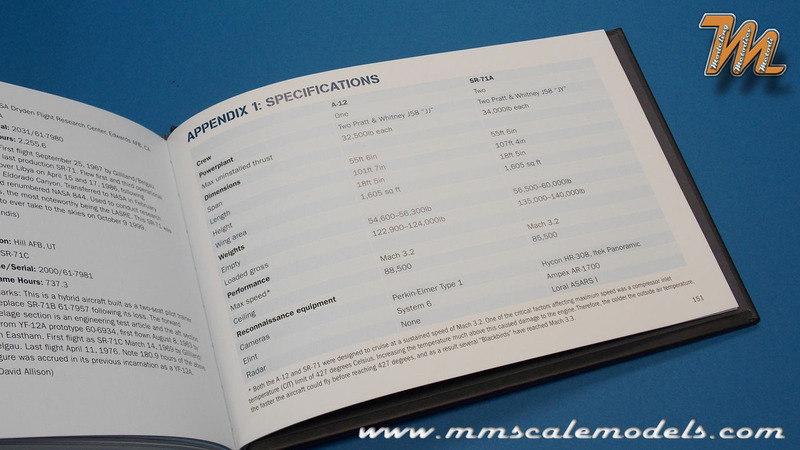 The book starts with the list of abbreviations. 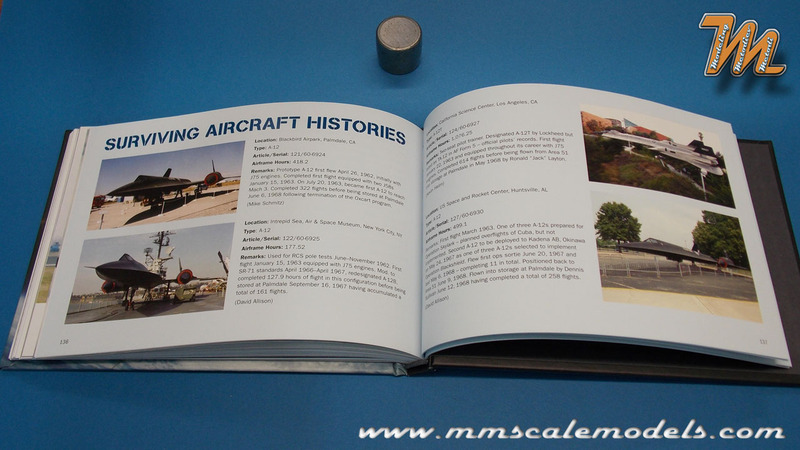 This list is not only necessary to read the book but is also a valuable tool in the world of military aviation. 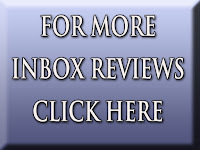 In this part the author introduces the reader to the complex situation of the Cold War and the mood of the era. Here you can also get a closer look at the events that led to start of Project Rainbow. This section marks notable events throughout the lifespan of the aircraft, from August 1956, when project Rainbow begins in an attempt to render the U-2 "invisible to Soviet radar", trough February 29, 1964 when President Lyndon B. Johnson announces the existence of the "A-11"(A-12) program to October 9th 1999 when NASA's crew Roger Smith and Bob Meyer fly SR-71A 61-7980 on the type's final ever flight at the Edwards AFB Open Day. 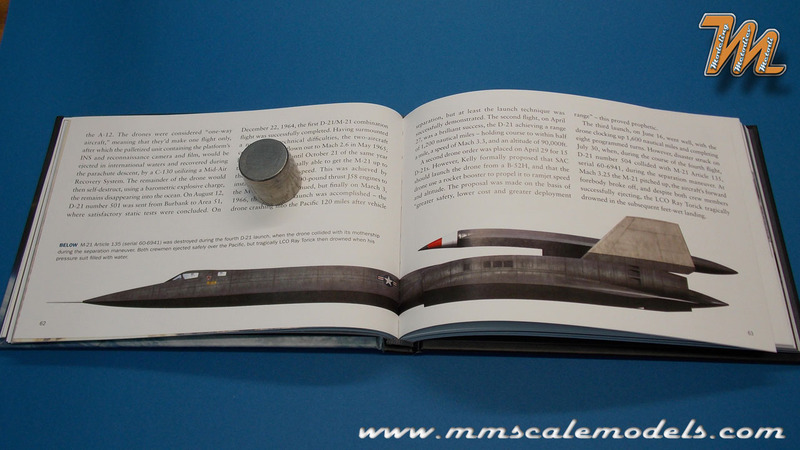 In this chapter we can reed about the flight and operational history of the A-12 Oxcart and includes the following sections - Loses, Vietnam and The Pueblo Affair. Following the loss of Power's U-2 and the US government's decision to discontinue maned flights over the Soviet Union, the Skunk Works received authorization to begin studies of the feasibility of producing a Mach 3 plus unpiloted platform, or drone, for the CIA on October 10, 1962. 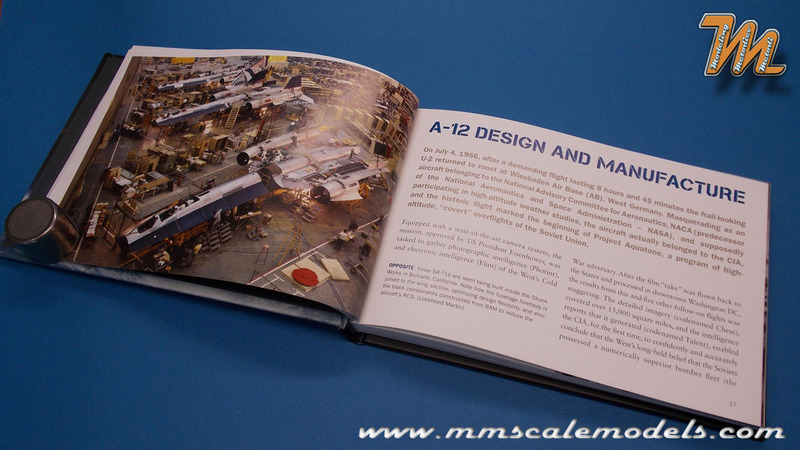 This chapter tells the story of the M-21/D-21. In October 1962, the Air Force ordered three interceptor variants to replace the cancelled F-108A Rapier. 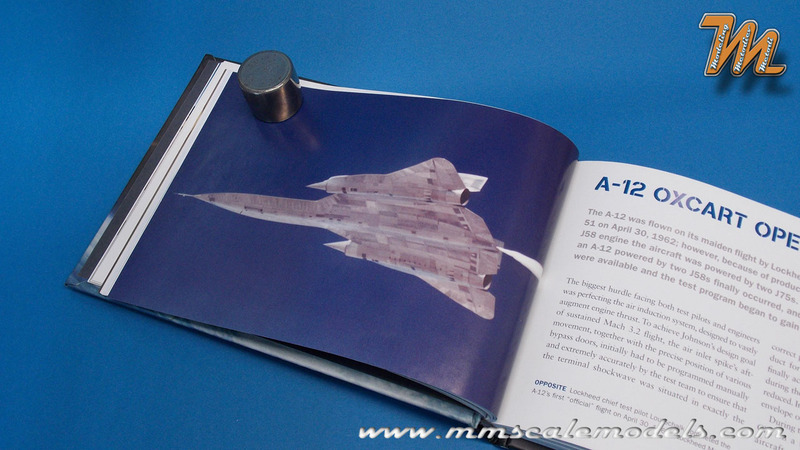 The modified A-12, first designated the AF-12 and then the YF-12A, was designed and built under a project codenamed KEDLOCK. The aircraft’s mission was to intercept new Soviet supersonic bombers long before they reached the United States. It carried three air-to-air missiles and a second crewman who worked the fire control system. The Air Force initially envisioned a fleet of as many as 100, but only three were built and delivered during 1963-64. 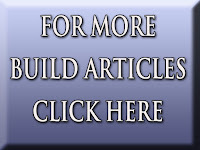 In this chapter you can read all about the development and the faith of the project. 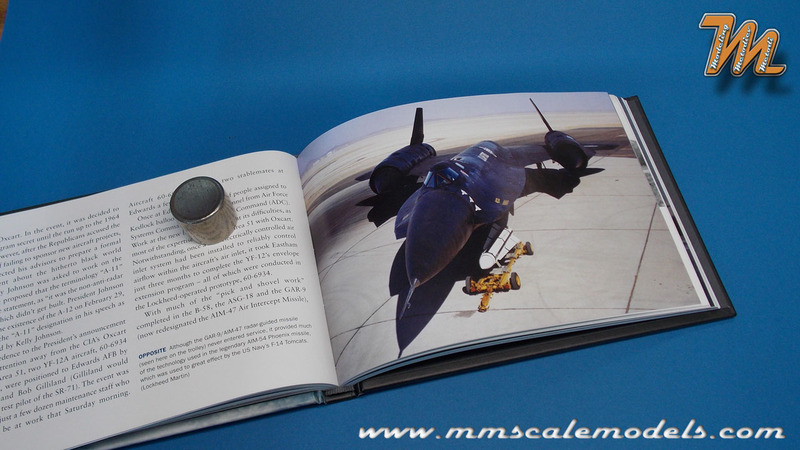 In this chapter we come to the SR-71, In December 1962, the Air Force ordered six “reconnaissance/strike” aircraft for high-speed, high-altitude flights over hostile territory after a nuclear attack—hence its original designator RS. 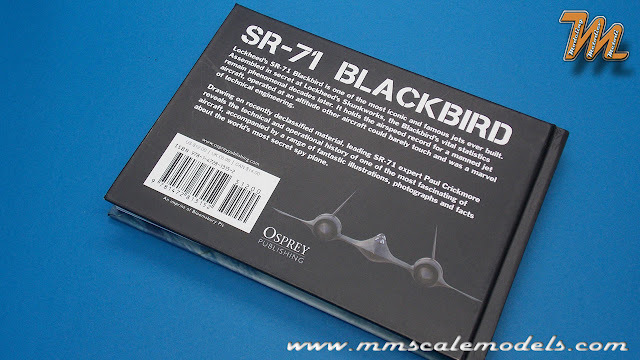 Compared to the A-12, the SR-71 was about six feet longer, weighed 15,000 pounds more fully loaded, had more prominent nose and body chines and a two-seat cockpit, and carried additional optical and radar imagery systems and ELINT sensors in interchangeable noses. 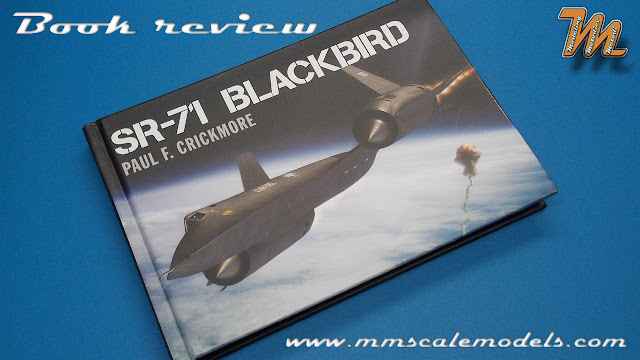 With the added weight, the aircraft flew slower and lower than the A-12 or the YF-12A, but it carried more fuel and had a longer range. 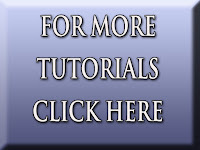 Here you will find several very interesting sections and events - Program Cancellation?, Flight Test, Attrition and Lessons, Operations, Yom Kippur, Detachment 4, North Korea and Program Termination. 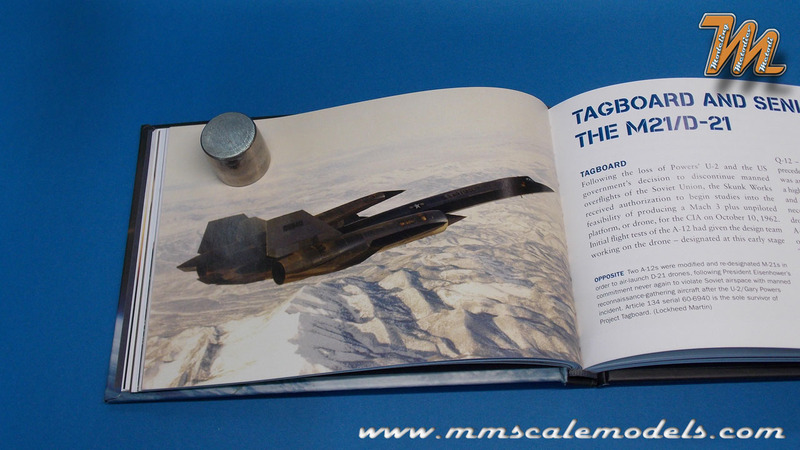 In this chapter we can find out what does it take and what is it like to have the control over the SR-71. 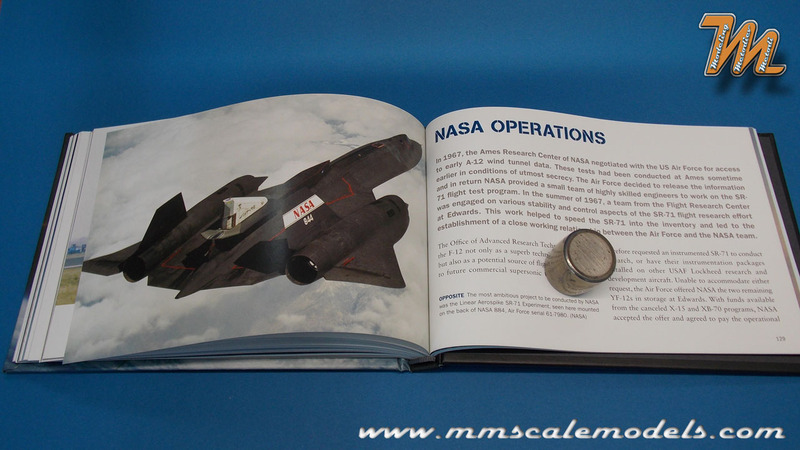 This chapter goes trough what NASA used this aircraft for. 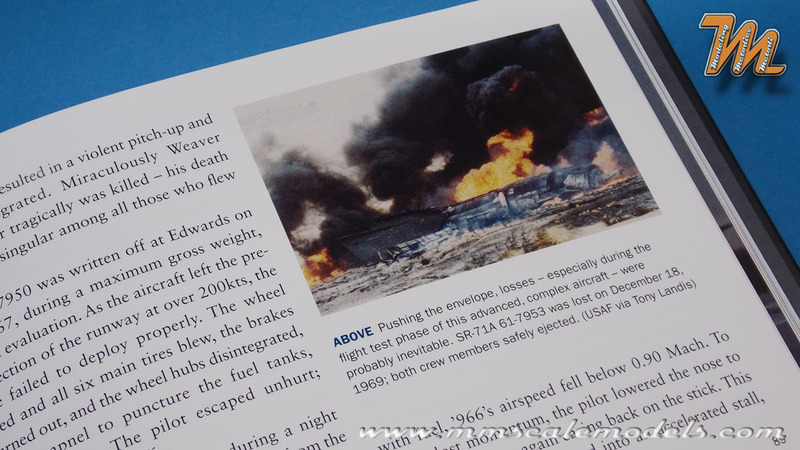 Here you will find brief description and a picture of each surviving aircraft. 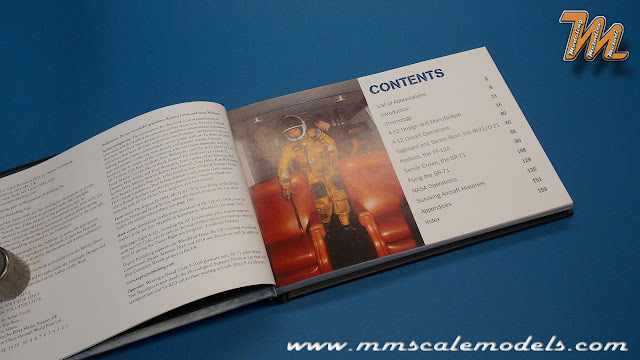 There are 4 appendixes - 1: Specifications, 2: Blackshield missions log, 3: Losses, 4: World speed and altitude records. 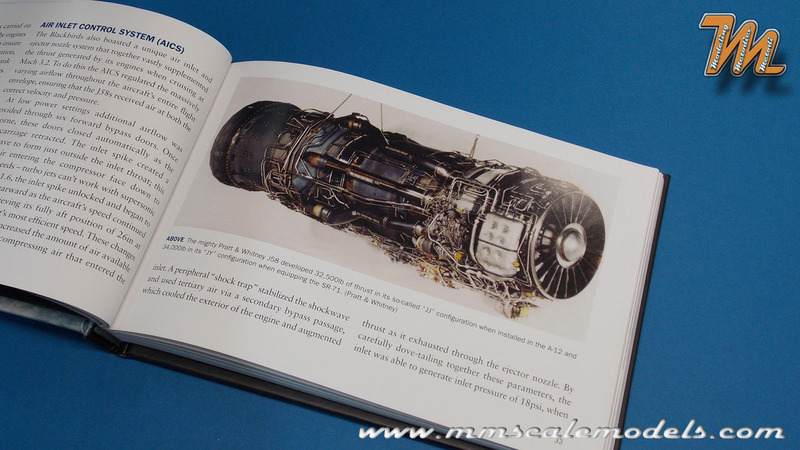 As a fan of this aircraft, for me this is a very valuable book. 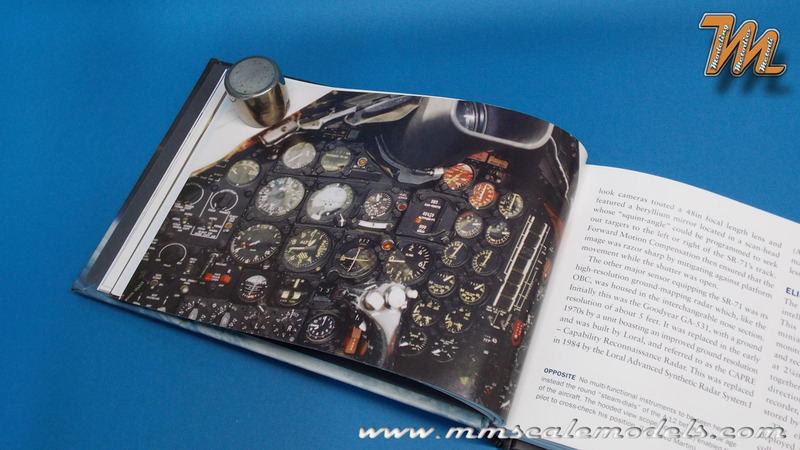 The quality of the print, the information inside, the rare pictures and beautiful profiles and cut offs make this book a great addition to any aircraft enthusiast library.